Shed season is reserved from February to March for the most dedicated outdoorsmen. This season is devoted to hitting mile after mile high and low to find deer sheds! 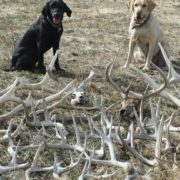 The basics of shed hunting, besides when to go shed hunting, and where to find sheds, is how to find shed antlers. Perhaps an even bigger question is what can you find out from finding sheds? In case you missed the recent posts part 1 and part 2 of this 5 part video series is featured below. These answers are common but there is much more to shed hunting that we do not normally discuss. Just the fact of finding sheds to deer that you have seen before have not seen before, had trail camera pictures of, or are surprised to find thinking that they did not survive the season. One thing is for sure, finding the sheds, and getting the white gold in your hand is what it is all about. So why do you shed hunt? When the shed is in hand you get several things that are addicting. Confirming the score of what you estimated the deer to be is one thing, but the biggest thing we deer hunters start to love as our passion grows is building history with deer. Trail camera pictures, sightings, encounters, close calls, multiple years of sheds, they all start to add up into a long history of somewhat of a nemesis out in your woods. Each and every year all of this data, and the location of where you find the deer sheds starts to add up and an incredible story of that deer’s movements, habits, and life takes shape. Knowing this confirms what you are doing right, what you are doing wrong, and shows you how and what to do with hunting another deer in similar areas. Shed hunting can tell you a lot, it’s more than just an addicting hobby, its history, satisfaction, and information to fuel your passion! Looking for antlers provides a great sense of satisfaction as it connects you to the animals you chase. There is a great enjoyment to the activity since there are few barriers to heading afield to look and explore. Each shed antler teaches you more about the animal and how they use the land they live on because it shows you at one point they stood in that spot for a particular reason. That reason is up for you to decipher and put into your bank of knowledge for the coming fall. 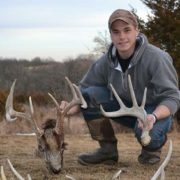 Finding Shed Antlers | Why Do We Shed Hunt? The desire to find shed antlers from deer and elk have created a die-hard passion within the tight-knit community of hunting. Reasons to work hard in the late winter, spring and summer to find white gold vary from person to person. There is the intrinsic value of finding antlers and building history with particular animals year after year. Shed antlers are a large part of working to unlock the secrets of a mature deer or elk’s movements. In part two of a five part shed hunting series, David and Easton Holder and their taxidermist, Wayland, express why they love finding deer sheds. This is where the anticipation begins to build for the upcoming fall. Making clear notes of where shed antlers are found can help build your scouting and hunting strategies for the entire year. 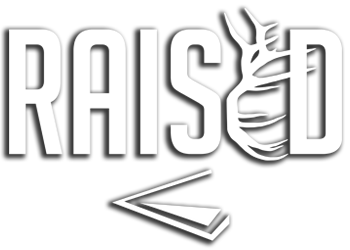 In case you missed it, find “How to Train Yourself To Find More Shed Antlers | Part 1” below! 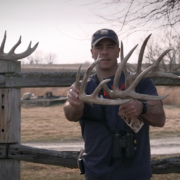 Part 2 | Why Do We Hunt For Shed Antlers? Taking the time to look for shed antlers is not just about preparing for the coming fall. 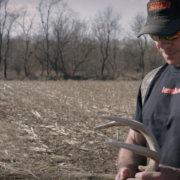 David says in the video that the best part of looking for antlers is, “You don’t need a license.” Unlike sitting in a tree during the fall, looking for shed antlers does not require a license. Finding shed antlers is one of the best ways to get someone new interested in hunting as it opens the door to a new world of adventure opportunity. Because antlers are a part of the mystery of the wild which peaks the curiosity, it is easy to introduce new people and kids to the hunting community through shed antler hunting. Now, some states in the West may have restrictions forcing people to wait until much later in the year to begin looking for antlers, which has more to do with not putting extra pressure on animals trying to recover from a harsh winter. Other states may have rules in regard to finding dead animals, or deadheads as David refers to them in the video. Quickly checking your state regulations is always a good way to stay proactive in order to have a full understanding of the laws. Chances are, regardless of where you are going to look for antlers you are going to be out for a while and walking a few miles. David says in the video he recommends people carry a small backpack to pack snacks and water in. Even in the cooler temperatures of the late winter and early spring, you can still become dehydrated and lose focus in the field possibly walking by antlers. A good backpack is also needed for when you need a place to put your coat or sweatshirt after walking for a while, not mention a place to carry antlers when you do find them. 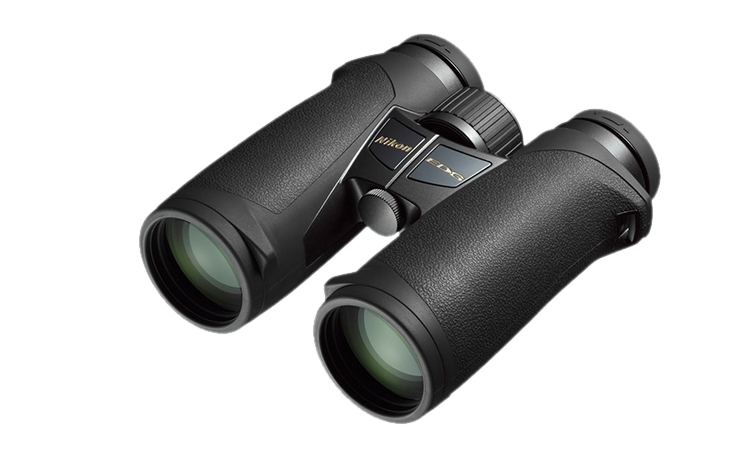 Binoculars are also a necessity for shed hunting. Having a great pair saves you a lot of walking to decipher whether or not that “thing” in the field is another corn stalk or an actual antler! Did these basic shed hunting tips help? 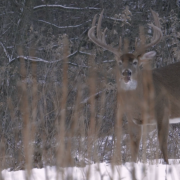 Don’t miss the other shed hunting videos in this five part series! You can search high and low, far and wide, mile after mile, but that doesn’t mean you will find one. Shed antlers are in demand this time of year and there is no doubt that they are the main focus of every hunter once February arrives. Whether you are in search of elk sheds, mule deer sheds, or whitetail sheds the fact is that shed hunting in general always comes down to one harsh reality…the ability of your eyes to spot sheds! The common saying of “miles equals piles” might hold true until you get down to comparing the piles themselves. The pile of a shed hunter with trained eyes versus a first time shed hunter will be substantially larger! 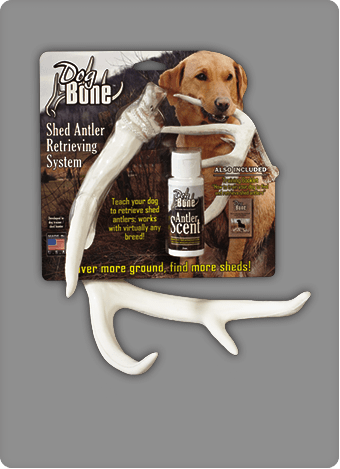 Point being, training yourself to find shed antlers before actually searching will drastically improve your results! The Best Set of Eyes Might be Your Taxidermist’s! Breaking shed hunting down to the bare bones allows many hunters to arrive at the same conclusion each and every year. 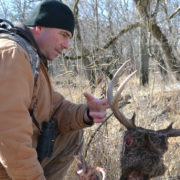 The hunter that has his eyes trained on the shape, color, and size of antlers the most, is likely the best shed hunter. You then might ask yourself “who looks at antlers on a daily basis?”. No, some antlers laying around the house here and there, or stacked in the “man-cave” does not count! We are talking about someone that eats, sleeps, and breathes antlers! Your taxidermist, the artist who takes in seemingly hundreds of antlers and is around thousands upon thousands of inches of bone each and every year, is often the best shed hunter you will come across in your life. Your Taxidermist has a set of eyes that have studied, picked apart, undressed, and most likely even dreamt about antlers year after year. This is the guy or girl you want in your shed hunting group! How to Train Your Eyes! The sad thing about the best shed hunter around (your taxidermist) is that he or she is swamped this time of year! Being around all those antlers comes at a cost, it is more than a full-time job! The reality of the best shed hunter you know is that they probably don’t have time for shed hunting, leaving most if not all of your shed season entirely in your hands (actually your eyes)! 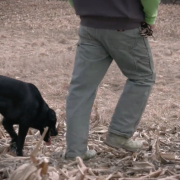 (Video) In this first of a 5-part series, the crew will discuss how to train yourself to find more sheds, focusing around tricks to train your eyes to identify sheds tucked away in the landscape. One of the best tactics to train yourself at spotting shed antlers is to simply replicate the scenario. Toss a shed in multiple habitats and ground cover types…simple yet effective! A corn field, thick grass, open pasture, thick timber, or within a food plot, really just about anywhere and everywhere you would expect to find sheds. Seeing the outline, color, shape, and size of the antler in the elements (different ground cover types and light conditions) will slowly build your eye’s ability and skill to spot the shed antlers. Do this each and every time you shed hunt! Always take an antler or two with you on a shed hunting trip. Before moving into a new ground cover type, say a cornfield, simply toss a couple antlers and have everyone in the shed hunting group look the antlers over. After sweeping the cornfield and before moving into another ground cover type like timber, run the antlers through the group again. This time the group will be trained to what antlers look like in the timber, as they are now searching new ground cover type as well as a bit more shaded light conditions. By training your eyes just before searching and practicing this repeatedly shed hunt after shed hunt your eyes will eventually be at a level comparable to that of your taxidermist! Training your eyes stacks the favor in your odds, however, a big player in shed hunting success comes down to the time you go, the weather, and what the specific conditions of the property are in terms of ground coverage. Weather, ground cover height and characteristics, as well as the time of day all are factors to consider when planning a shed hunt. The absolute best conditions for shed hunting would be the following (this is often debated). The gloomier the better. Bright days make it hard to spot glistening antlers as shadows and bright light drastically alter the surrounding habitat and ground coverage. Gloomy days allow the whites of antlers to still pop, yet keep the white of the sun off the surrounding sticks, leaves, or corn stalks. Anytime you can is the best time to go shed hunting…period. The timeframe, however, is a different story. Late February-early March usually has you arriving when most deer have shed, ensuring you are not busting deer off the property before they shed. Just after rain or if snow is covering the ground completely but has melted off slightly often creates the best possible conditions. When the brush, and ground coverage is laid over and mashed down, or slightly melted snow is on the ground it is very easy to spot shed antlers! This information is the beginning of several shed hunting tips that could significantly increase your piles of sheds this year. This is just part 1 of a 5 part shed hunting video series. Check out all the shed hunting videos and tips by Clicking Here. Also be sure to stay up to date with the Holder family by following Raised Hunting on Facebook, Instagram, YouTube, and Twitter!